Browse > Home / Medicare, Medicaid & Private Payor Updates / A CERT Audit is Serious Business – Don’t Take it Lightly. (November 23, 2011): The “Comprehensive Error Rate Testing” (CERT) program was implemented as a mechanism for the Centers for Medicare and Medicaid Services (CMS) to assess whether their Medicare Administrative Contractors (MACs) are properly paying claims. In other words, is a particular MAC failing to identify and deny improper claims? Alternatively, is the MAC denying claims which do, in fact, qualify for coverage and payment? Essentially, the CERT audit program serves as an integral management tool for CMS as well as an important feedback mechanism for the MACs. When problem areas are identified, they can be actively addressed by a wide variety of Medicare contractors with audit responsibilities. Notably, several of the MACs around the country have been aggressively reasserting their roles in the corrective action process. Essentially, MACs write the checks on behalf of CMS. 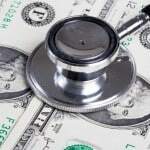 As a result, they play an extraordinarily important role in the Medicare reimbursement process. Therefore, when a CERT auditor finds that a MAC has been incorrectly reimbursing providers for claims which may not qualify for coverage, it is very important that the MAC immediately address this system-level deficiency. I. Recent Actions Taken by MACs in Response to CERT Audit Findings. “[C]onduct prepayment reviews” of future claims, up to 100% of a provider’s claims. To be clear, none of these potential corrective actions represent new authorities. Nevertheless, the fact that MACs are now reasserting these points is reflective of CMS’ ongoing concerns regarding the prevalence of improper claims. Indirectly, CMS is making it crystal clear that as the initial recipient and screener of Medicare claims submitted by providers for payment, MACs play an essential role in screening out improper claims and bad providers. As Medicare’s primary gatekeepers, MACs are responsible for identifying both improper claims and providers who may be engaged in abusive and / or fraudulent practices. II. What Should You Do if You Are Notified of a CERT Audit? Should you receive a CERT audit request for documents from a CERT Documentation Contractor (CDC), it is important to keep in mind that your practice or clinic is not being accused of fraud or wrongdoing. Fundamentally, a CERT audit is primarily designed to identify deficiencies and mistakes made by Medicare contractors. Nevertheless, it is imperative that you take a CERT audit request quite seriously. At the end of the day, it will be you, not the MAC, who is responsible for any overpayments identified as a result of the audit. Moreover, bad results on a CERT audit may lead to further auditing in the future. III. What Actions Should a Compliance Officer Take to Being Audited? Compliance Officers can take these “general” risk areas, add them to the “practice-specific” risk areas already noted, and take special note of these concerns when conducting internal reviews. The only way to avoid the scrutiny of Medicare’s various administrative contractors (MACs, ZPICs, RACs and CERT auditors) is to avoid payment errors altogether. While no provider is perfect, the development, implementation and adherence to an effective Compliance Plan can significantly reduce the number of improper claims submitted by a provider to a MAC for reimbursement. IV. What Actions Should a Compliance Officer Take After Receiving a CERT Audit Letter? As Compliance Officer, upon receipt of a CERT audit request, you should carefully review the request and take steps to assemble a complete set of medical records and other supporting documentation related to the specific claims at issue. It is important not only to make sure that your documentation is complete when sending in records to a CERT contractor, but to make sure that compliance is a daily part of your practice. Ensuring that your documentation is appropriate and accurately documents both medical necessity and the level of services performed can greatly assist you in avoiding trouble down the road. Now, more than ever, it is important that you have an effective Compliance Plan in place. Your Compliance Plan should explicitly set out your organization’s policies about how to correctly assess the need for, and document the services provided to a Medicare beneficiary. Otherwise, as demonstrated by the tough stance being taken by the MAC discussed above, CERT audits and other Medicare post-payment audits could raise serious problems for your practice. Liles Parker attorneys represent health care providers in CERT, MAC, ZPIC and RAC audits and investigations. Our attorneys have extensive compliance experience and can conduct “GAP Analyses” designed to place your practice or clinic on solid regulatory footing. To speak with Robert W. Liles, J.D., call 1 (800) 475-1906 for a free consultation today.